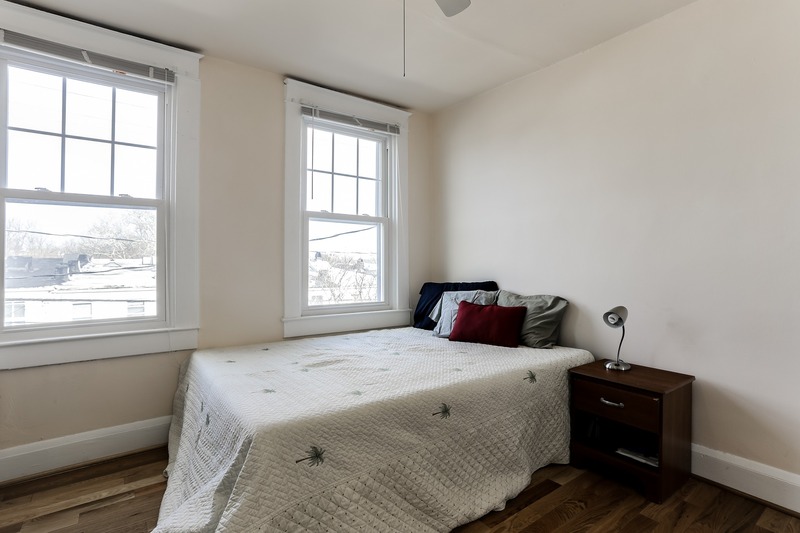 Bursting with updates and upgrades throughout, this beautifully renovated rowhome has the perfect combination of historic charm and modern appointments! The classic brick front with a covered front porch gives way to the inviting, lovingly updated interior with space to relax. 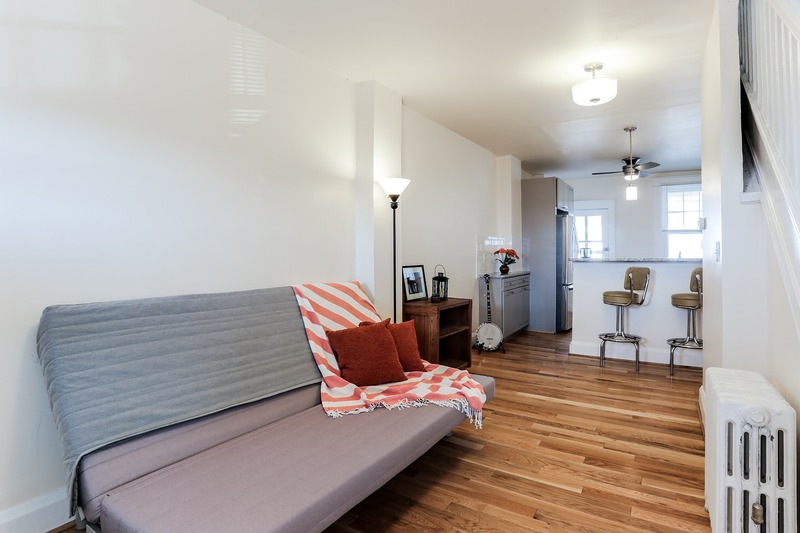 A sunlit living room with gleaming hardwood floors awaits as soon as you enter, with a large front window and new light fixtures providing abundant light. 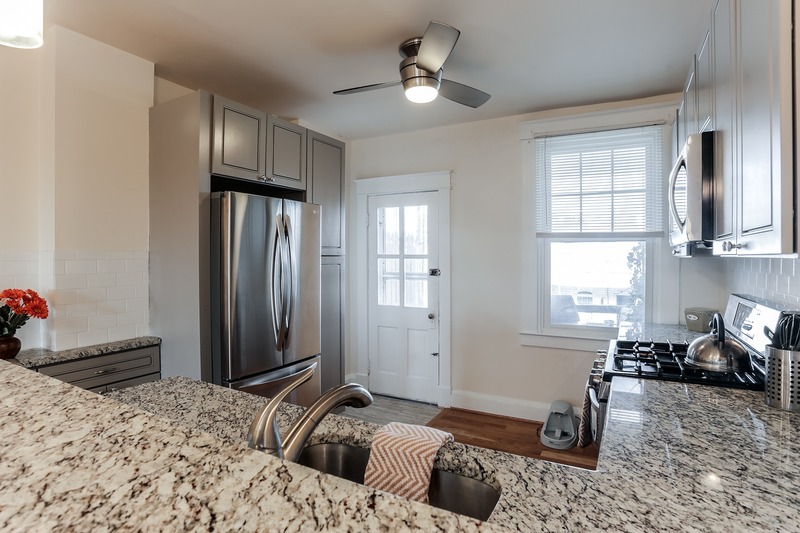 Continue into the fabulous, completely remodeled kitchen boasting of granite counters, a casual breakfast bar, new pendant lighting, a ceiling fan, and stainless steel appliances. The kitchen is appointed with plenty of cabinet and counter space to make meal preparation a breeze! 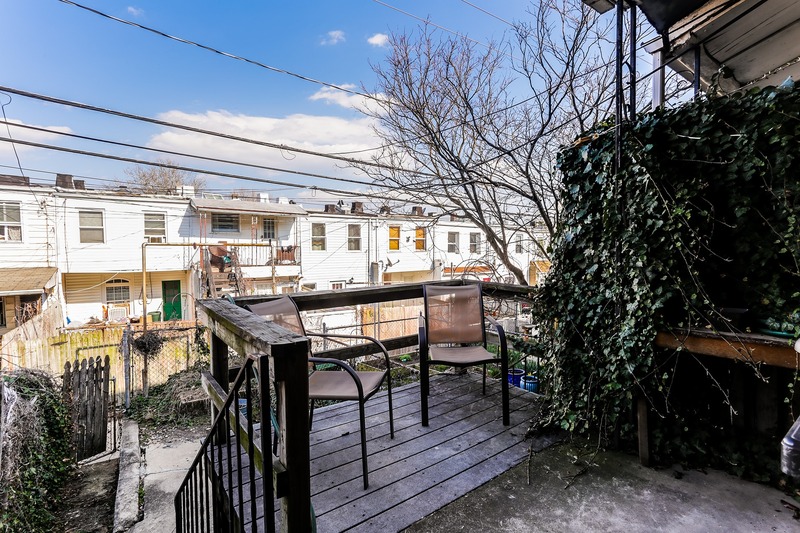 Step out to the charming deck, with steps leading down to your fenced back yard, giving you plenty of options to enjoy evening cook-outs and gatherings. You will love this home's excellent location, with ample off-street parking in a fantastic neighborhood for commuting as you have easy access to many major routes and local amenities. Back inside, continue upstairs where you will find two generously sized bedrooms. Large windows flood both rooms with natural light, making them feel airy and inviting! They are serviced by a generous full hall bath with a sky light and shower.